New Delhi, (Hindustan Times),16 August 2018 - Former prime minister Atal Bihari Vajpayee, the first non-Congress leader to serve a full term in power and who ordered nuclear tests to make India a nuclear weapons power, died on Thursday, at the Delhi hospital where he was admitted said in a statement. 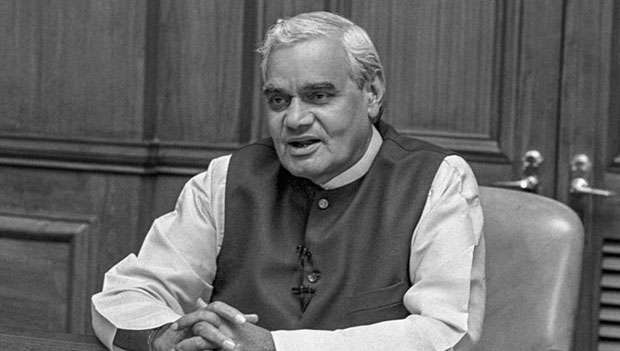 “It is with profound grief that we inform about the sad demise of Former Prime Minister of India, Shri Atal Bihari Vajpayee at 05:05pm on 16.08.2018,” said the All India Institutes of Medical Sciences in a statement in Delhi. “Unfortunately, his condition deteriorated over the last 36 hours and he was put on life support systems. Despite the best of efforts, we have lost him today,” the statement said.